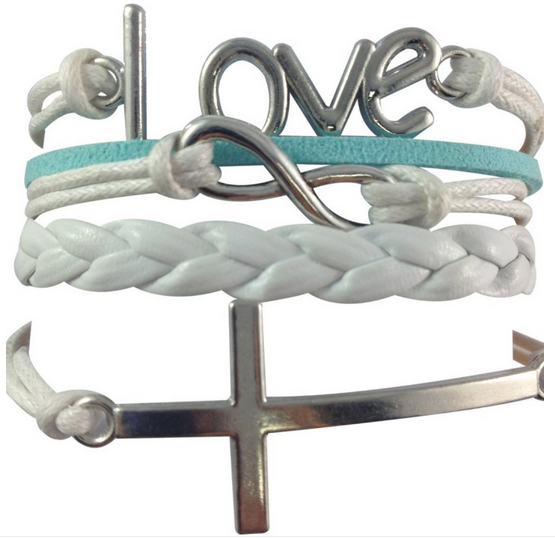 Love - Infinity - Cross Stacked Bracelet Only $1.54 + FREE Shipping! You are here: Home / Great Deals / Amazon Deals / Love – Infinity – Cross Stacked Bracelet Only $1.54 + FREE Shipping! Love – Infinity – Cross Stacked Bracelet Only $1.54 + FREE Shipping! Head over to Amazon and get this Love – Infinity – Cross Stacked Bracelet for only $1.54 plus FREE shipping! I love the white with just a touch of blue in this one, and the stacked bracelets are super popular right now.